Kids are independent and responsible beings that can make important decisions. The curriculum is developed based on the child in their environment; For example, microcosms are created in the school environment through child-sized furniture and materials that produce a complete model of a world for children. Children have an absorbing mind: an unlimited motivation of children to gain mastery of their environment. Materials provided to students are didactic and self-corrective. The student corrects his or her mistakes based on past work. Children should be distributed by age groups that correspond to their developmental period. Family involvement is important; Families are enrolled-- not just students. The educational purpose of the Montessori system is autonomy in all its definitions and aspects: intellectual autonomy, moral autonomy through respect and reciprocity, social autonomy, emotional autonomy, and self-reliance. 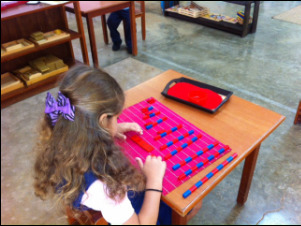 The Montessori methodology achieves the full intellectual, social and spiritual development of the child and the young person. 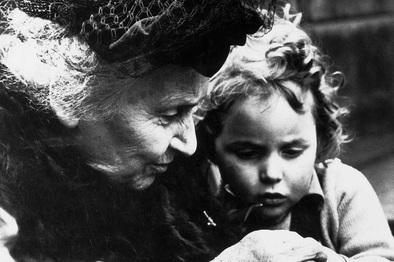 This methodology was born over 100 years ago from the research of Dr. Maria Montessori, an Italian scientist universally recognized as a pioneer of modern education. Her research findings were based on the direct observation of the child and coincide with modern research. Montessori schools aspire to both academic excellence and the development of a culture of peace in their communities. Their aim is to develop students' maximum potential by cultivating their independence, internal discipline, self-confidence, creativity and initiative. These schools pursue the integral development of the student, preparing them for life in the community and the world of work. They see each child in his or her developmental period. "The child, guided by an internal teacher, works tirelessly and with joy to build man. We educators can only help.. that way we will witness the birth of a new man."